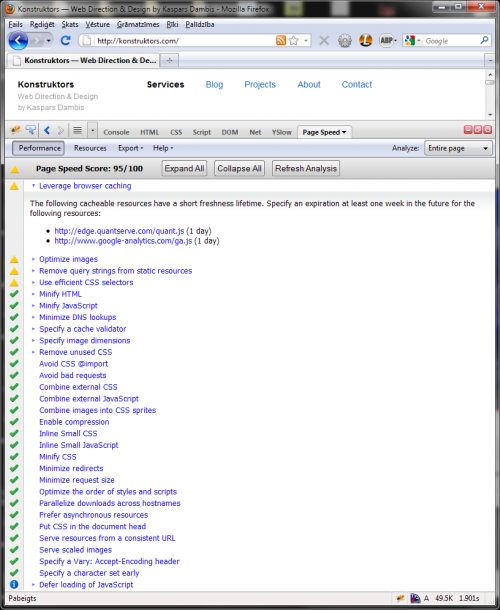 Using the Page Speed tool. You brag! From playing with this tool I think it is stupid to even dream of 100. But every warning/suggestion should be taken seriously and dealt with best way possible – without going minimalistic, crazy or not using horse power of server (if there are any!) Some things just can’t be fixed easy and 8x or something beats crap any day. No 1. awareness tool for sure.